The National Institute for Preservation of Cultural Heritage - Regional office Ostrava - Archaeological Section Opava participates significantly in archaeological activities in the Moravia-Silesian region and is the additional investigator for the âArchaeology on D47â project. Currently, six archaeologists are employed and 10 other employees provide for related activities (laboratory treatment and preservation, registration and documentation, paperwork). In particular, they focus on rescue excavations and archaeological supervision over constructions. In January â October 2003 67 investigations were conducted in the region, whereof 29 brought positive archaeological results. 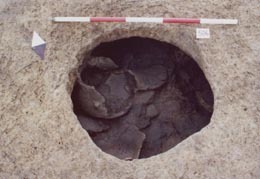 Ãvalno 2002: Ceramic vessels from a borrow pit â Funnel Beaker culture. 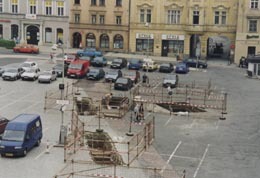 Opava â Lower square. 2003. 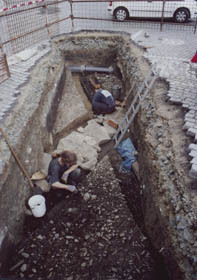 Advance excavations on the construction site of a sewerage.